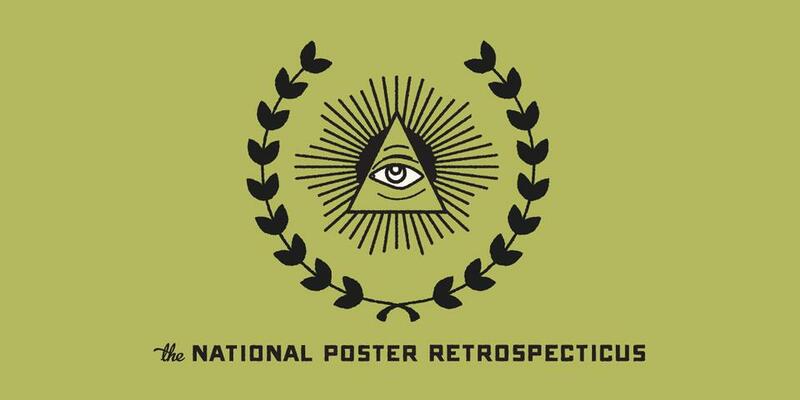 The National Poster Retrospecticus is coming to Orlando for one-night-only! The National Poster Retrospecticus is an internationally traveling poster show. Each show features select work from a collection of more than 400 hand-printed posters. The NPR represents over 150 prominent poster design- ers from around the world. The show has traveled all over North America visiting bombed out basements, rad community spaces, and fancy art galleries. The tour has even shown in venues like The Rock and Roll Hall of Fame, Lego HQ, Adobe Studios, and at events like SXSW and NXNE. The NPR's mission is to celebrate posters and printmaking and help spread that enthusiasm around the world. The NPR will be showing a small collection of their greatest hits. The full collection of National Parks Posters from the Fifty-Nine Parks Print Series will also be on display. All posters are printed by hand and are for sale. This ripper is also free to the public and all ages. Mama will be live printing to give you all a first hand look at the printing process. Big thanks to our host Redefine Art Gallery for hosting. This one is going to rule!